After reading a recent feature in Fly Fisherman, which tested apps worms against squirmy worms, I decided to try a few apps worms. Fiddly but definitely look fishy to me! 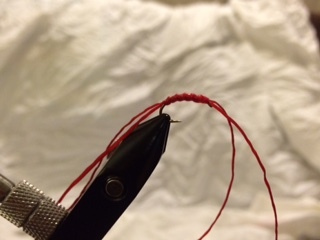 The bloodworm is tied on a size 12 buzzer hook, using red flexi-floss for the legs and rib with red Globrite floss for the body. 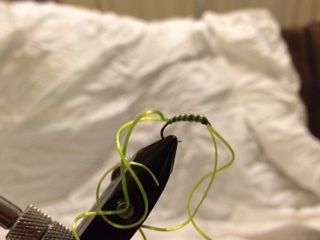 The olive version uses Chartreuse flexi-floss with standard olive thread.